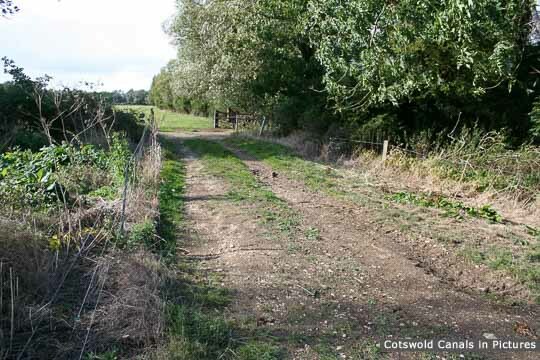 Due to difficulties in gaining access to this site (there is no Public access), the photos are somewhat out of date. 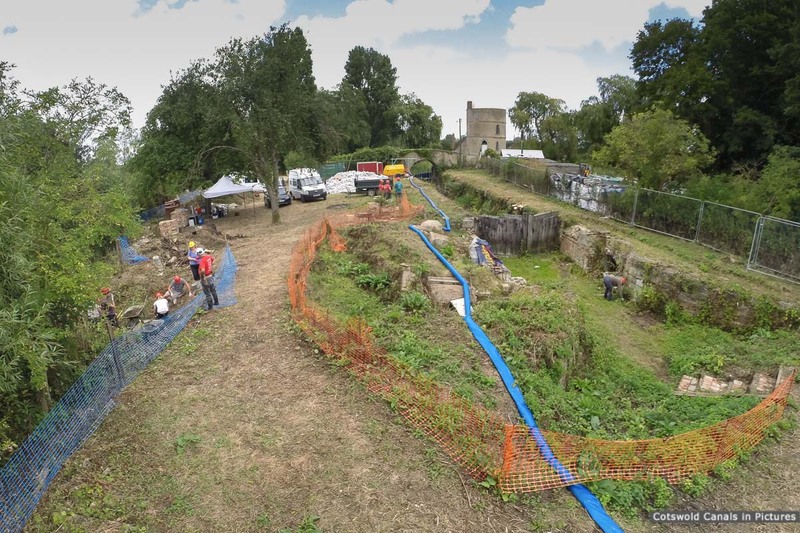 The top views shows the top end of the lock with gates still in place with a Waterways Recovery Group (WRG) volunteer team on site repairing brickwork. 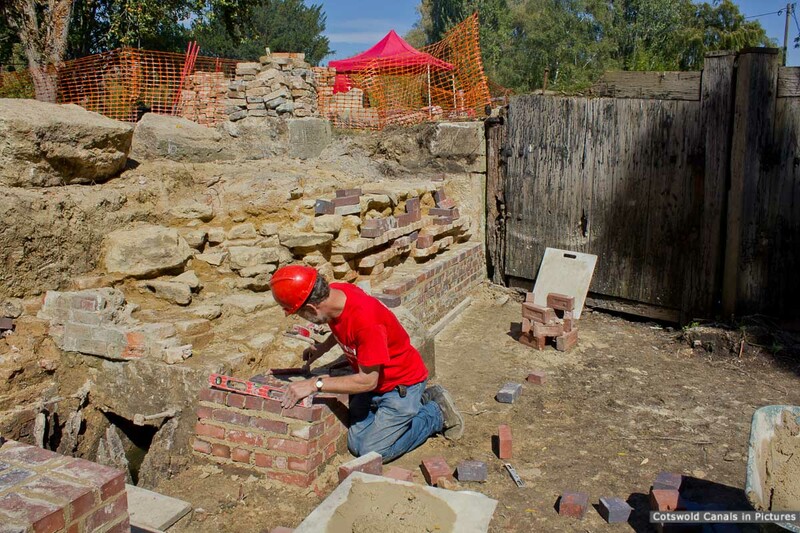 The access bridge is at the tail of the lock (top picture), with Inglesham Roundhouse. 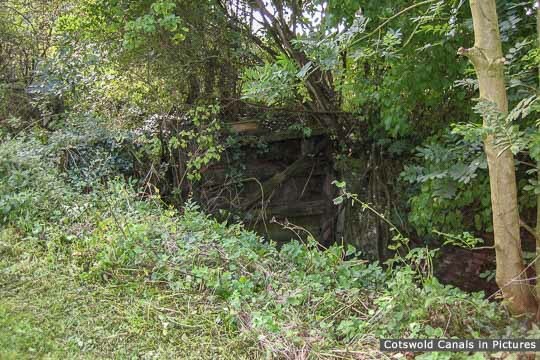 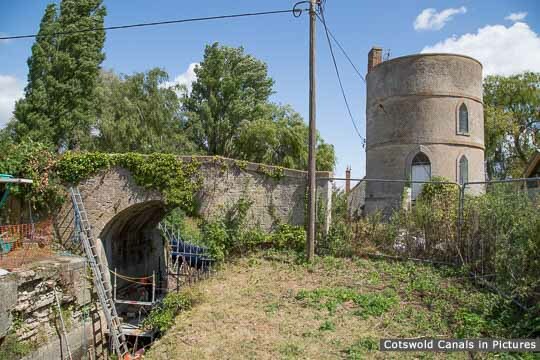 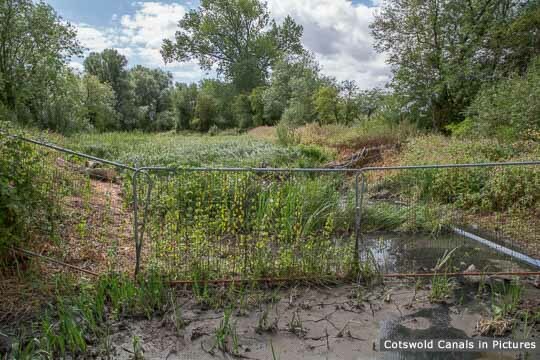 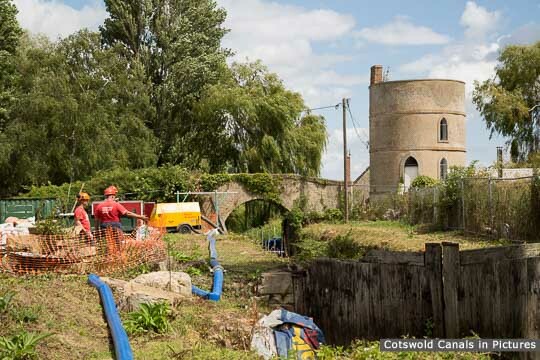 This site had previously been cleared of undergrowth by volunteers from the Cotswold Canals Trust. 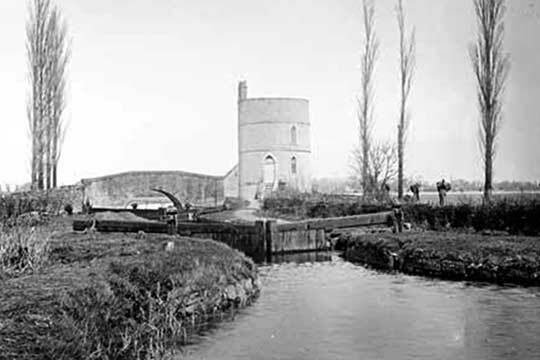 The canal towpath is on the Roundhouse side of the canal. Inglesham Lock before undergrowth clearance - difficult to see! In addition, the header image on this page shows Inglesham Lock top gates prior to the start of the restoration.